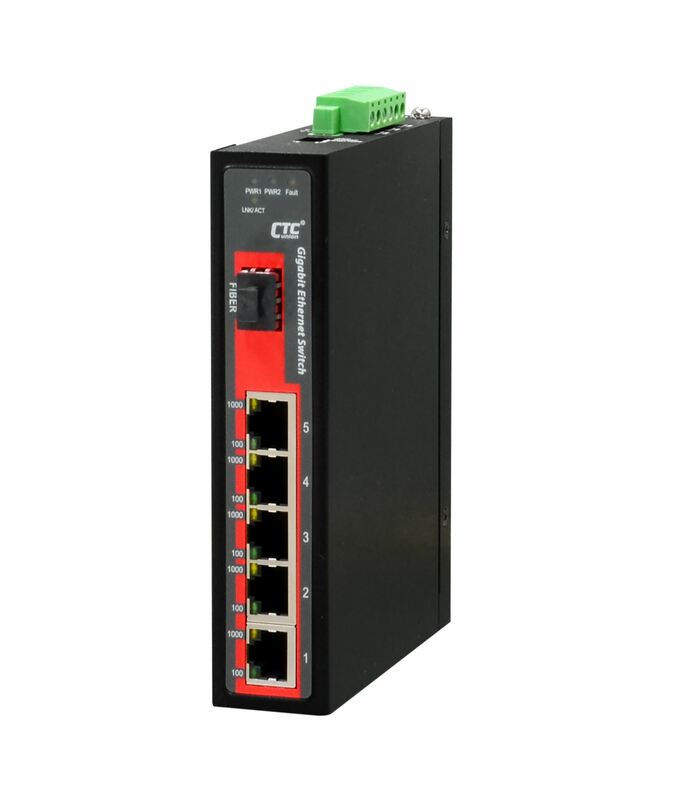 The series models are 5/8-port 10/100/1000Base-T Ethernet non-managed Gigabit switches, with either 1 or 0 port 1000Base-X SFP port, that provide stable and reliable Ethernet transmission. Housed in rugged DIN rail or wall mountable enclosures, these switches are designed for harsh environments, such as industrial networking, intelligent transportation systems (ITS) and are also suitable for many militaries and utility market applications where environmental conditions exceed commercial product specifications. Standard operating temperature range models (-10°C to 60°C) and wide operating temperature range models (-40°C to 75°C) fulfil the special needs of industrial automation applications.